Midnight sun race is over and it was a late night race, as the last final was run at 9 pm on Sunday and the price giving ceremony was held at 10 pm. 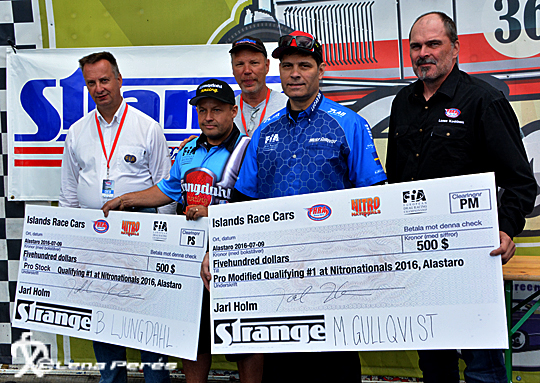 Islands Race Car sponsored Pro Stock and Pro Modified at Alastaro and the winners of the 500 € checks was in Pro Stock Bengt Ljungdahl who qualified at 6,61 sec/336 km/h and Michael Gullqvist at 6,05 sec/388 km/h. 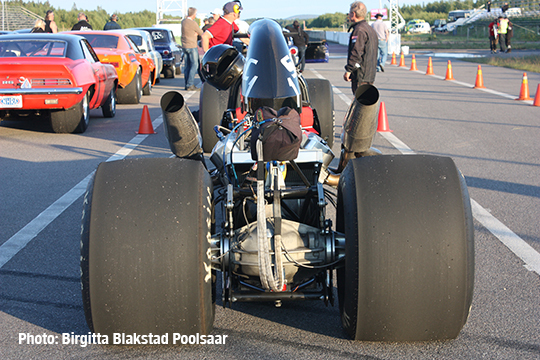 Hansen Racing is handling spare parts and performance parts for American Cars and have done so since 1966. This year they celebrate their 50th anniversary.